Something pretty odd is happening in a distant corner of our universe. 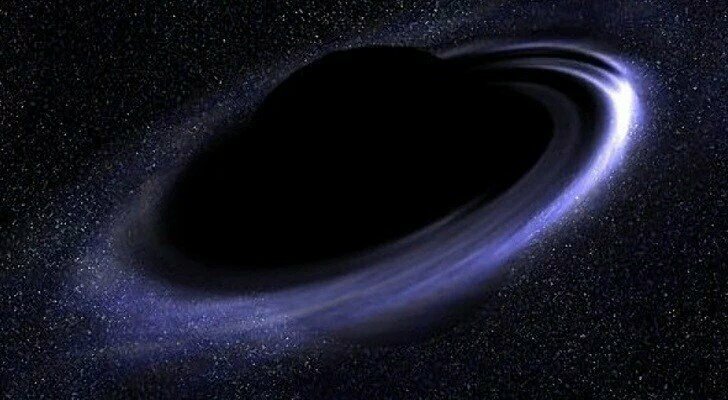 Almost a dozen supermassive black holes are all shooting huge jets of energy in approximately the same direction. It might be a cosmic coincidence—but many astronomers are suspicious and think there are larger forces at play. Supermassive black holes, can be spotted at the center of almost all galaxies and they occasionally erupt streams of energized plasma into the space. For example our galaxy’s own supermassive black hole, Sagittarius A*, will every so often swallow a star and burp x-ray energy all over the Milky Way. These outbursts are very much interesting to astronomers, but they are usually believed to be independent events. But now according to a survey of 64 galaxies situated halfway across the known universe has exposed a strange alignment between the energy jets exploding from a handful of black holes, all of which are situated within a hundred million light years of each other. An arrangement like this shouldn’t occur, unless it’s being dictated by an even bigger structure in the cosmos. Which is precisely what Russ Taylor, main author of an upcoming study in the Monthly Notices of the Royal Astronomical Society, considers may be happening. As Science News reports, Taylor thinks that the outbreaks are all being directed by filaments, a kind of scaffolding alongside which matter assembles on a cosmic scale. If the theory is accurate, it could help clarify how our universe’s current structure came to be. Not everybody is convinced, though. Some astronomers say that the number of galaxies in this research is too small to get significant conclusions, and that the arrangement could be traced as to nothing more than chance. But the notion of a cosmic arrangement is fascinating enough that Taylor and his coworkers plan to follow up on it by examining more black holes, and by figuring out the exact distances among the galaxies they’ve already studied.